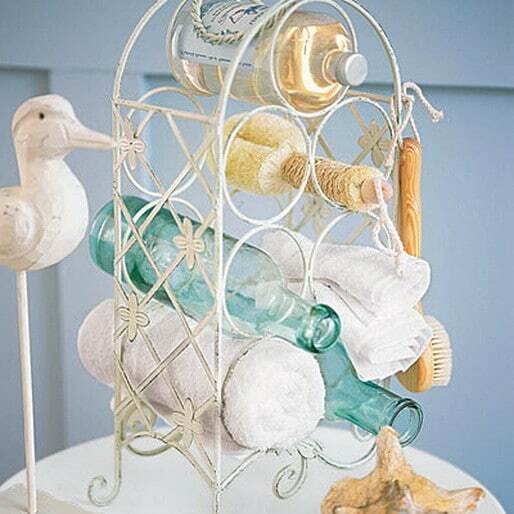 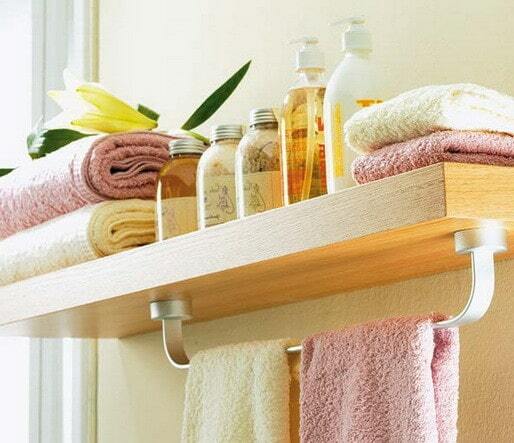 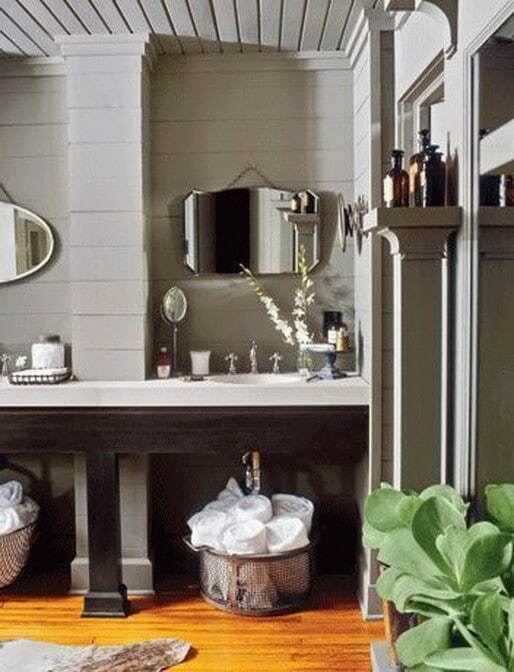 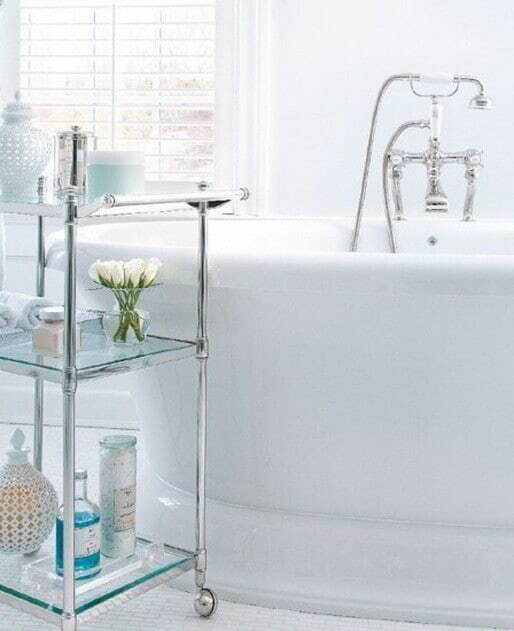 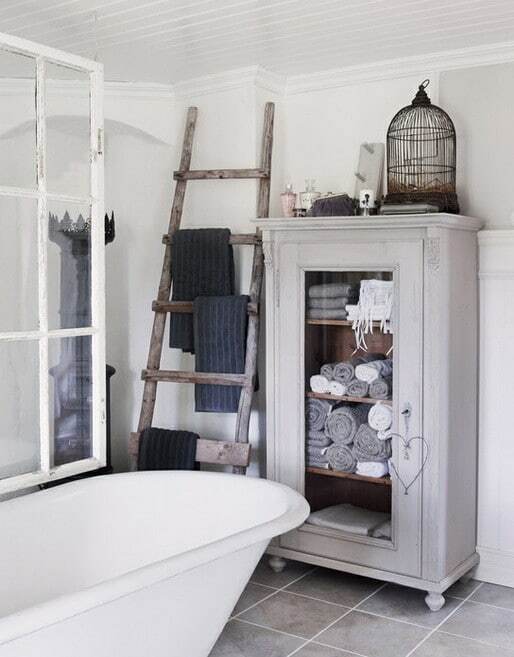 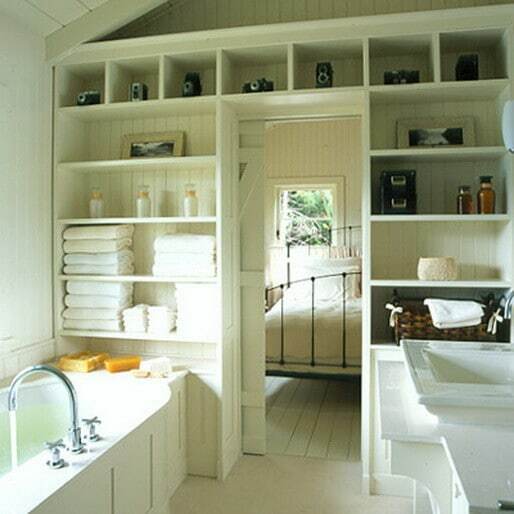 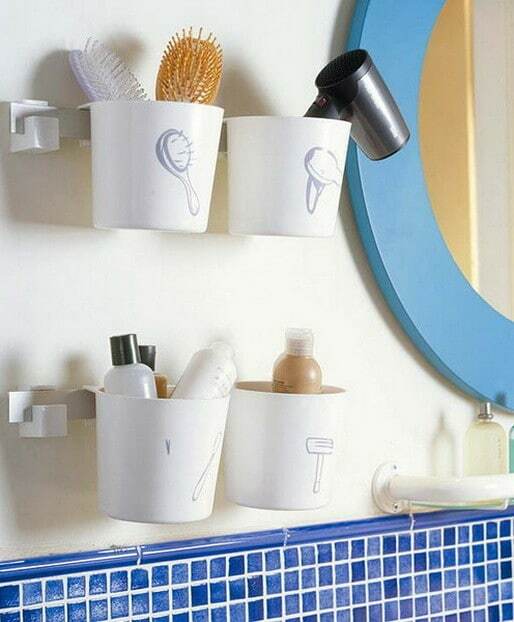 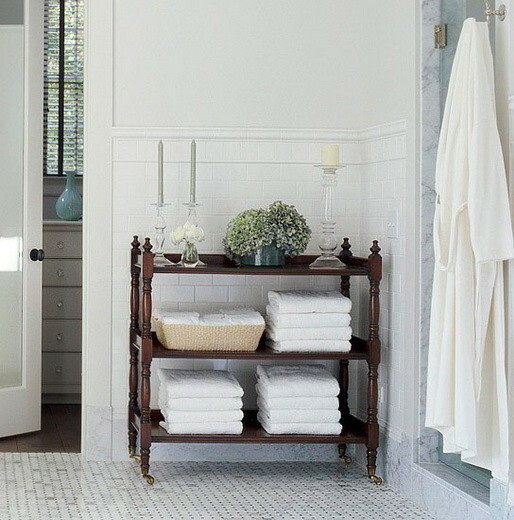 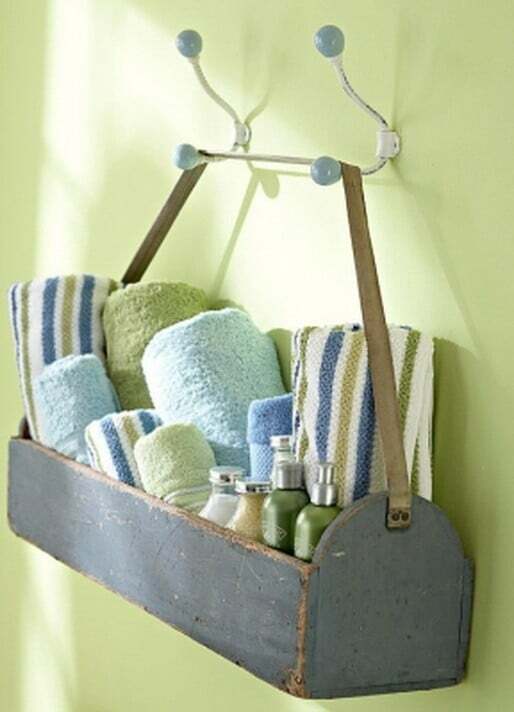 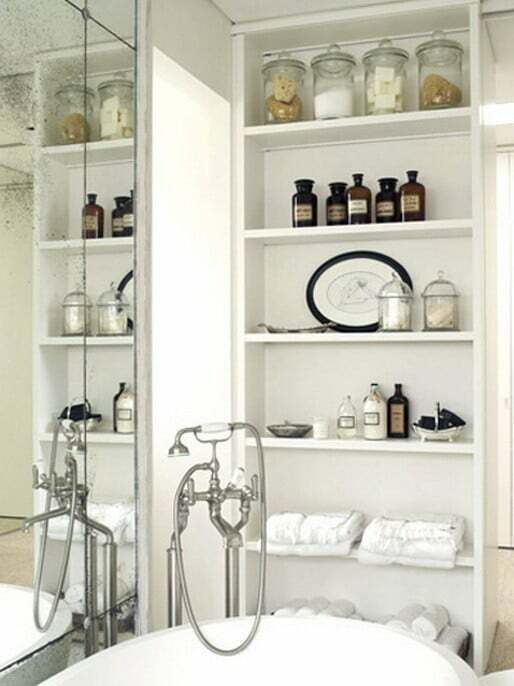 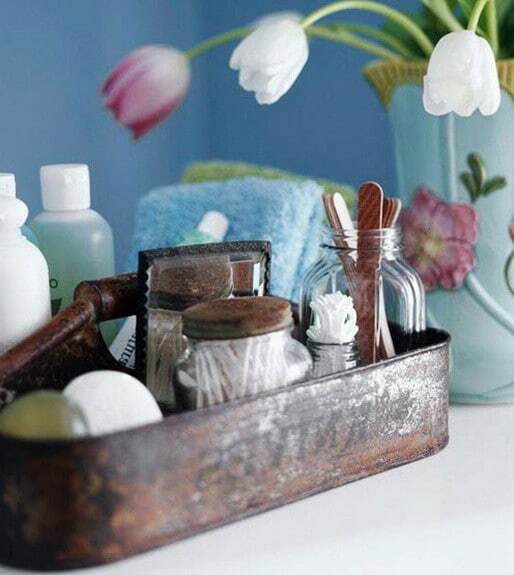 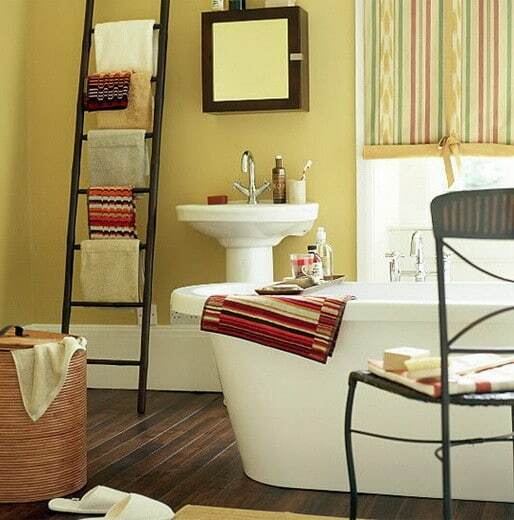 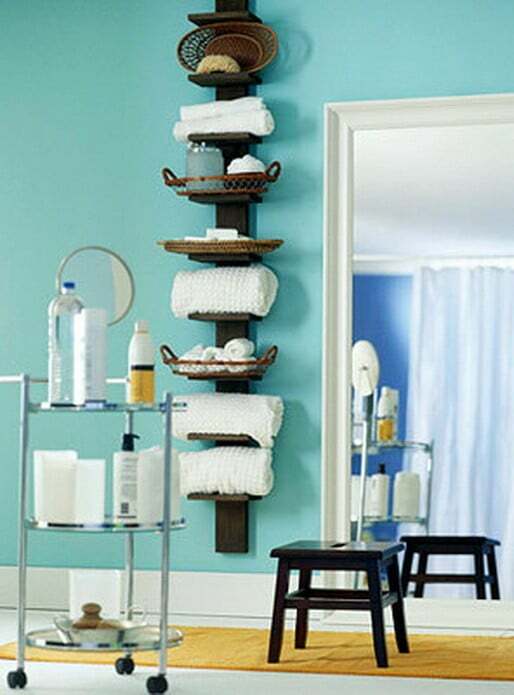 We have gathered 53 amazing bathroom organization and storage pictures to help you get some great ideas. 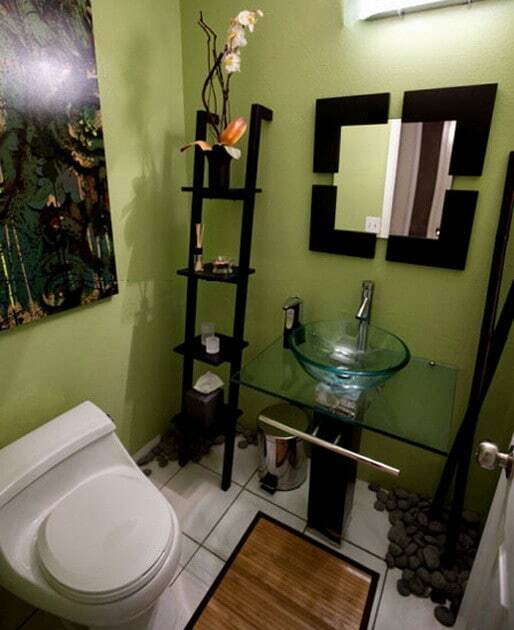 These idea photos range from big bathrooms to luxury to smaller half bath sized bathrooms. 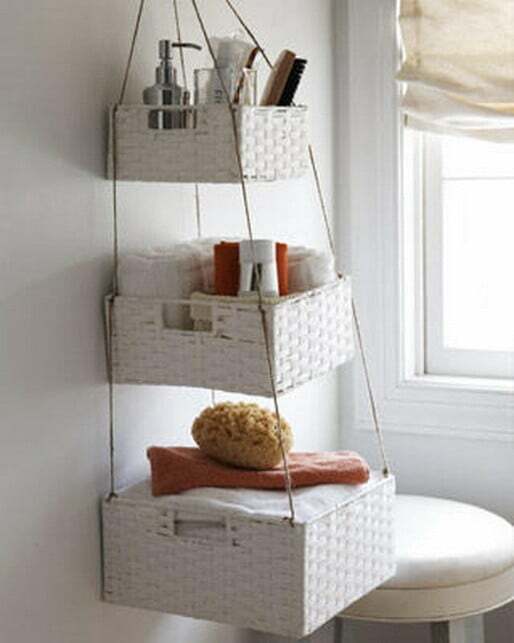 Some have built in storage solutions and other have DIY storage ideas using older furniture items or simple containers. 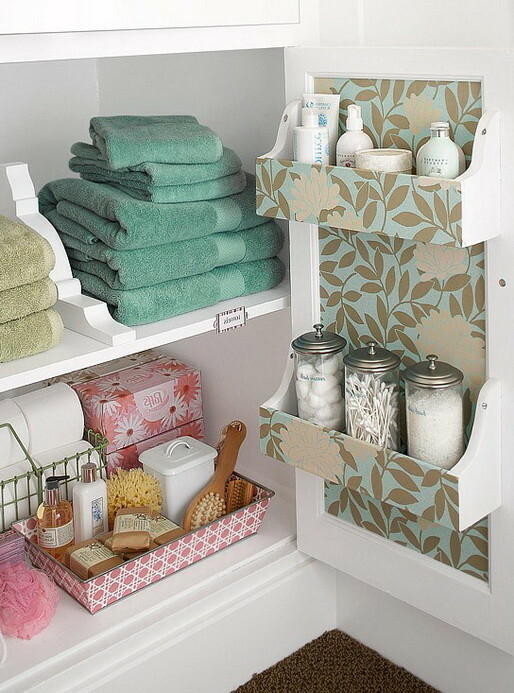 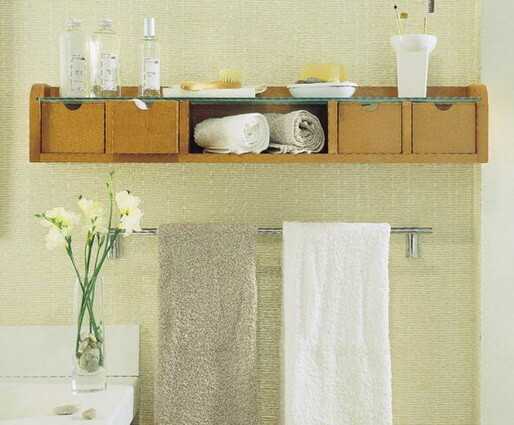 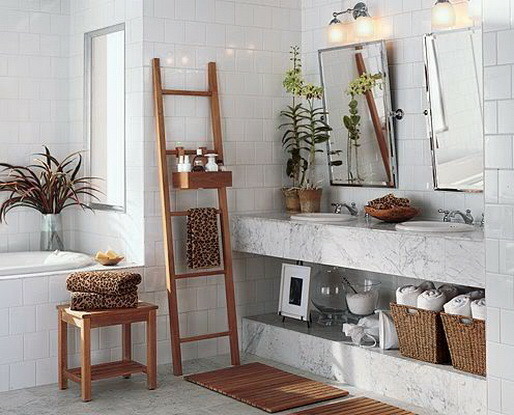 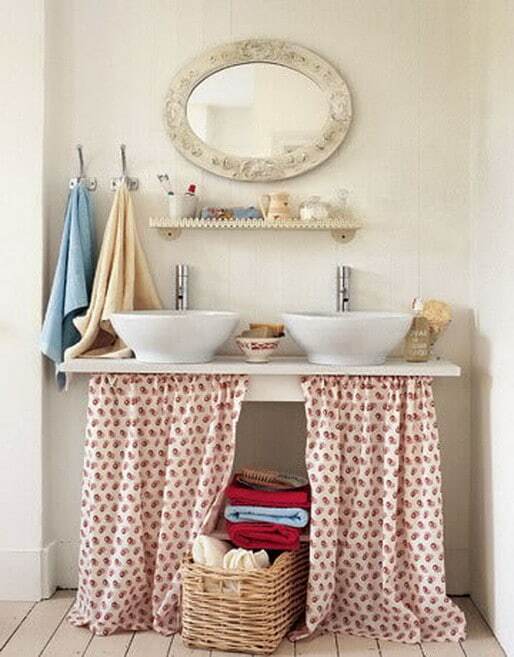 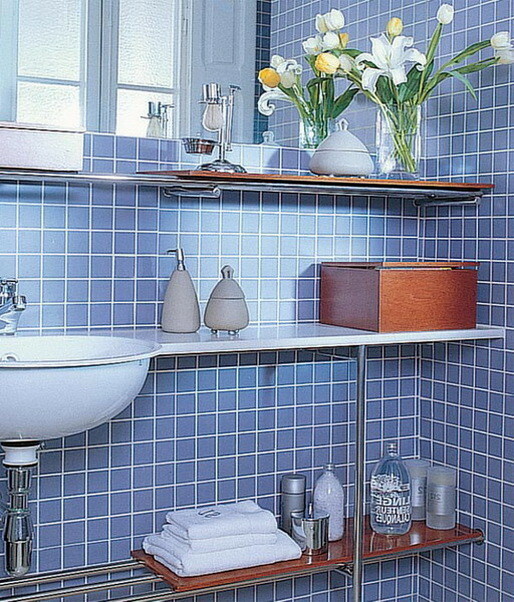 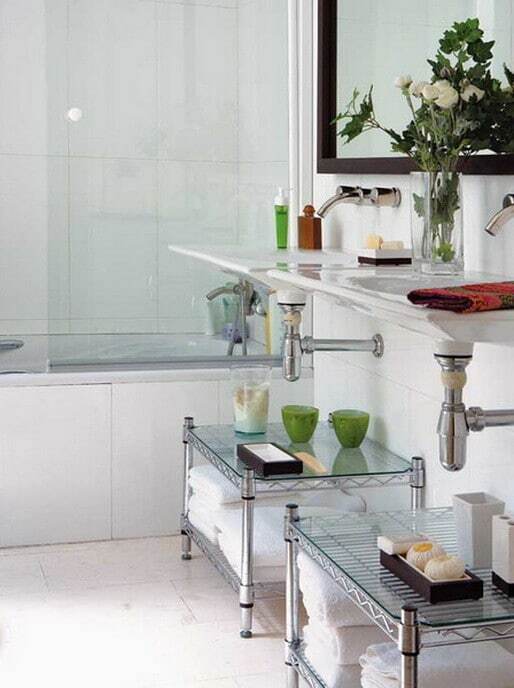 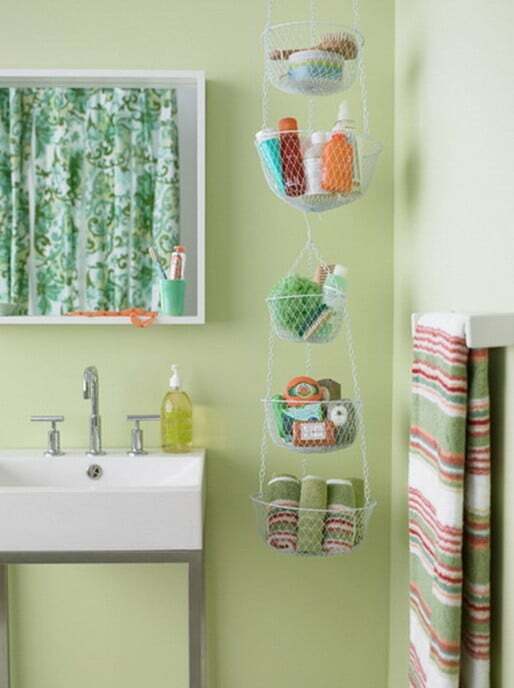 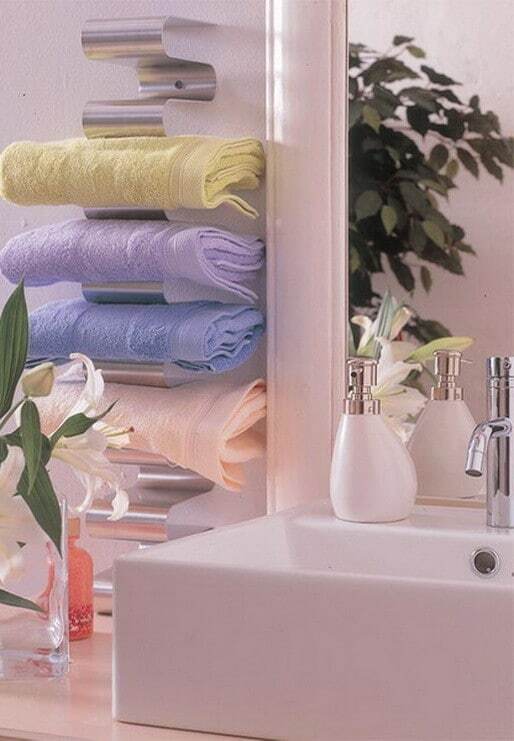 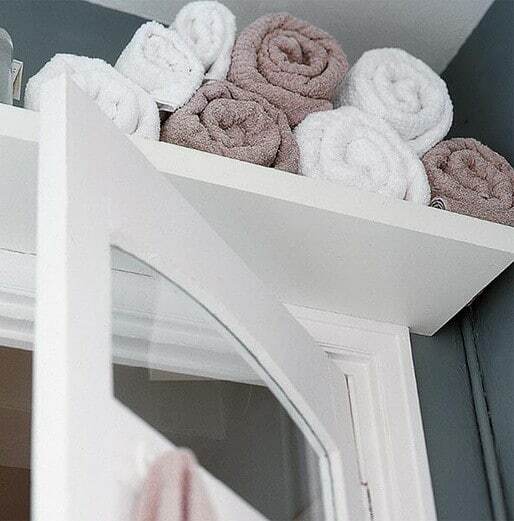 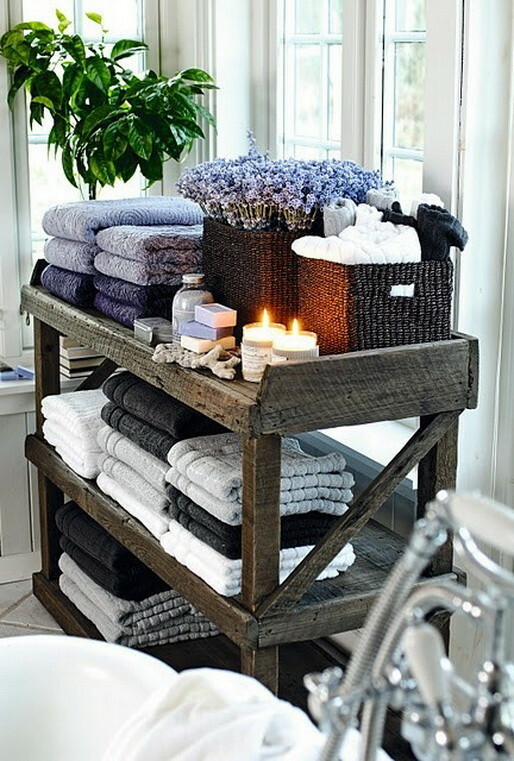 These ideas will keep the clutter at a minimum and your bathroom will be organized with creative bathroom storage that makes the most of your space. 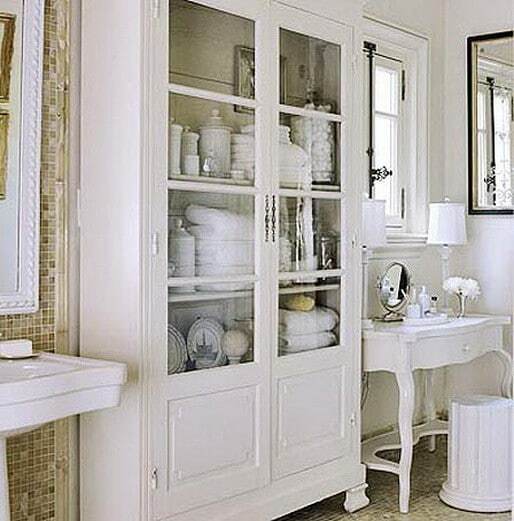 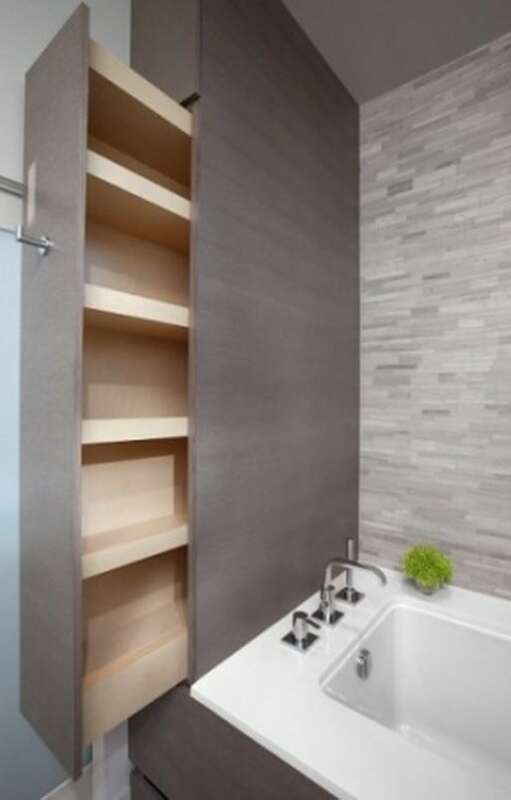 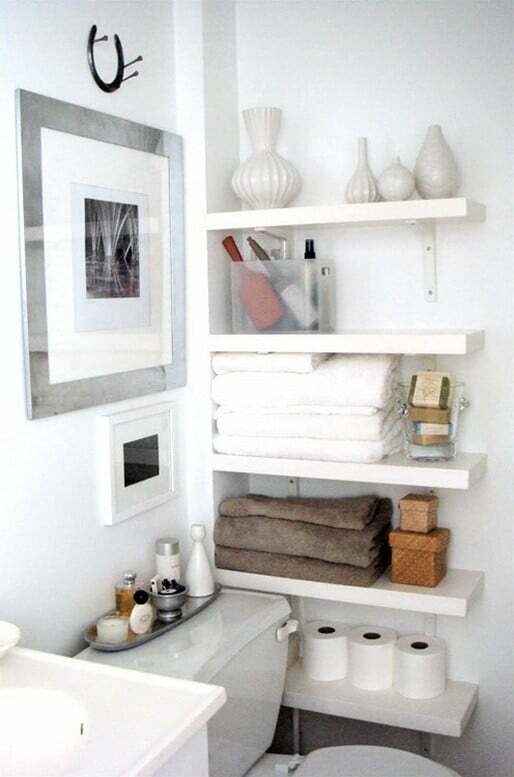 You will find mirror cabinets for hiding away toiletries and shelving units and high cabinets for towels and other big items that need to be hidden away. 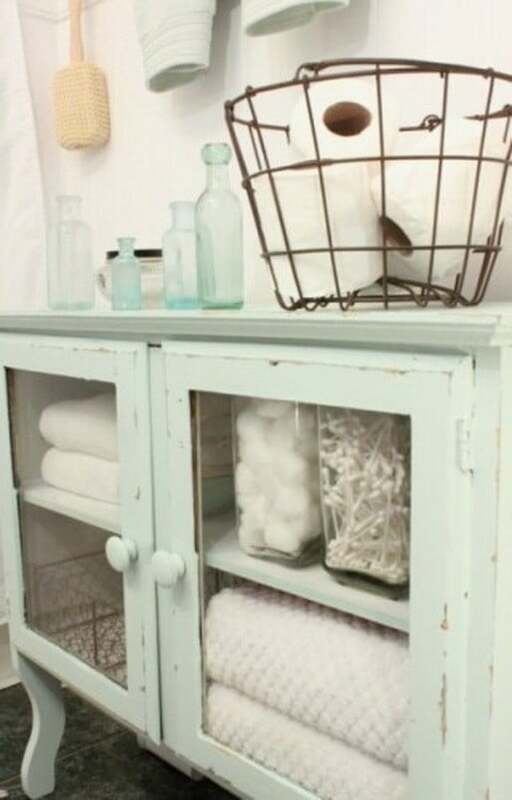 There are a lot of things that can be stored away and out of sight including toilet paper rolls, towels, toothbrush, cosmetics and more. 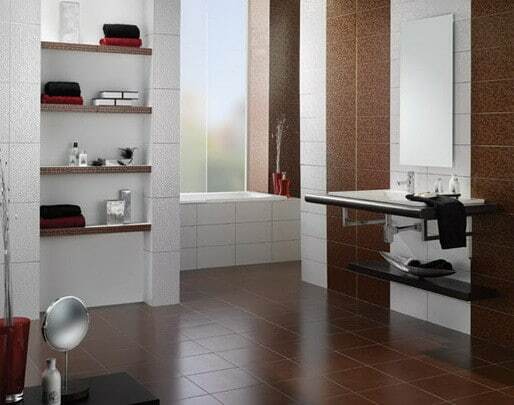 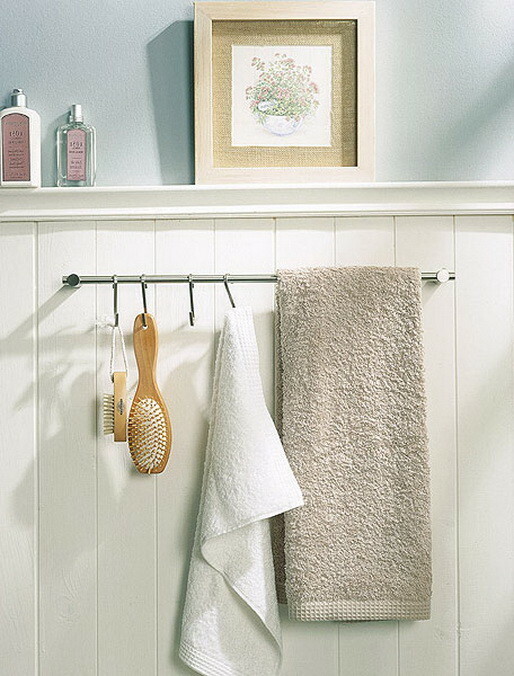 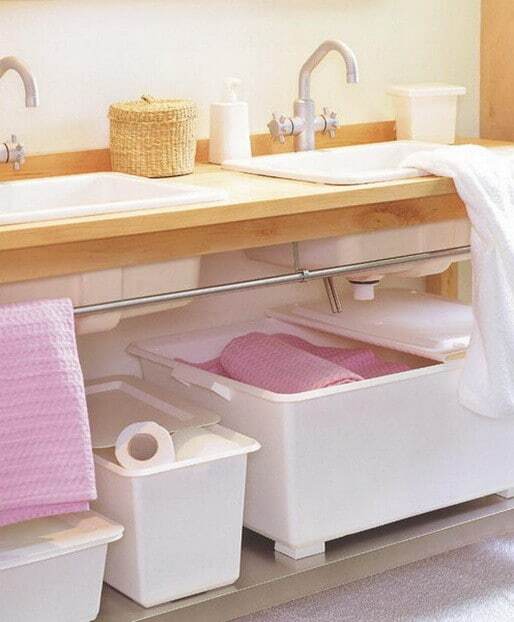 These great storage solutions are here for you to get great ideas so take a look at the different types of bathroom storage below! 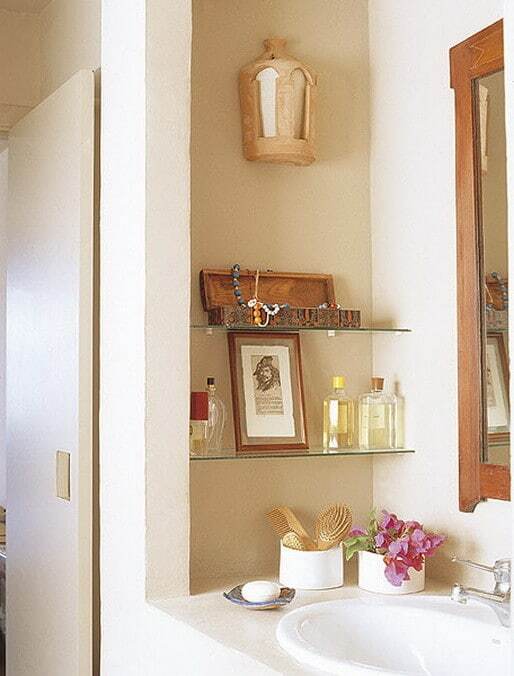 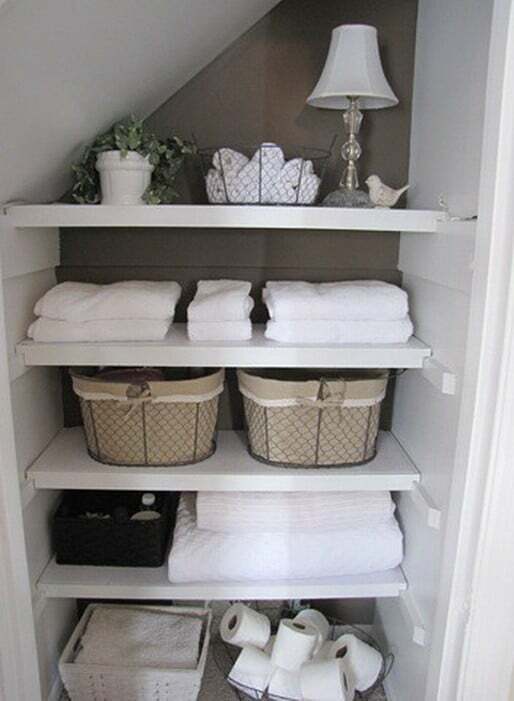 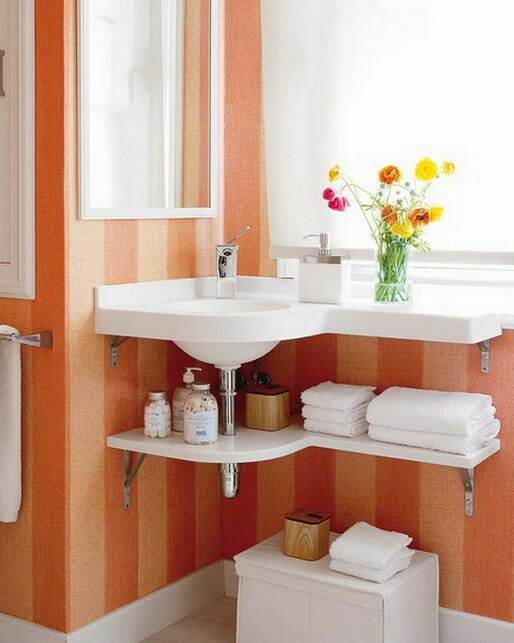 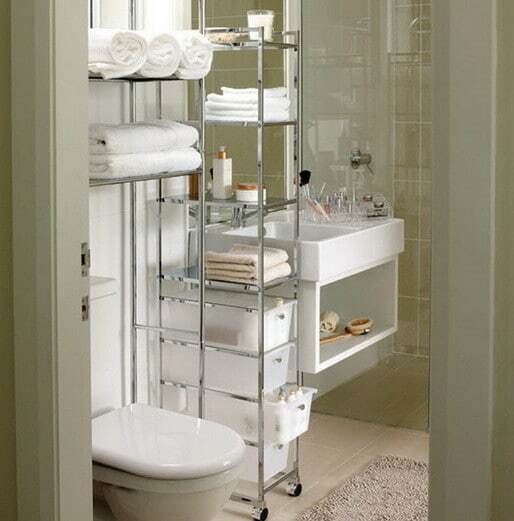 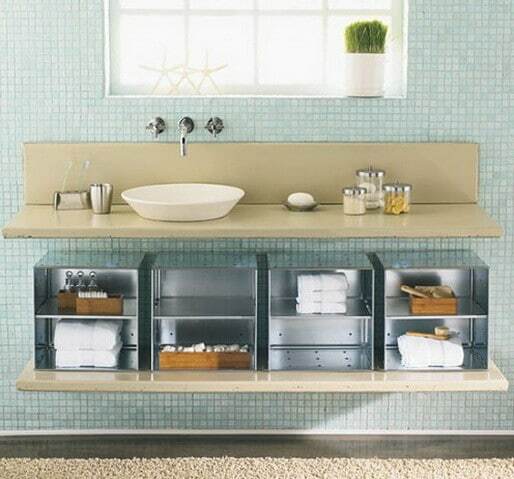 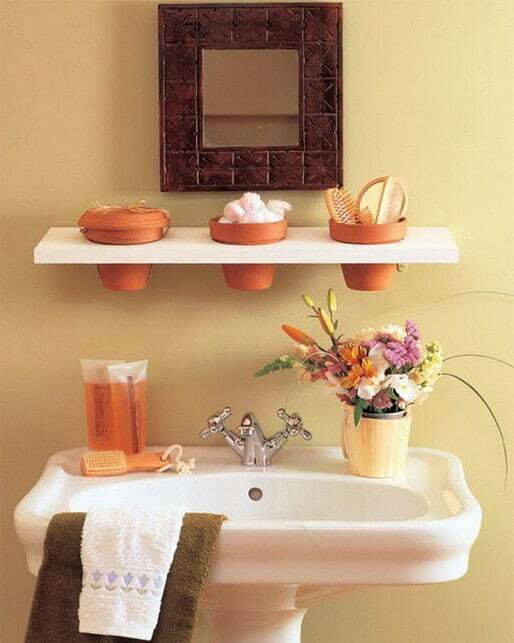 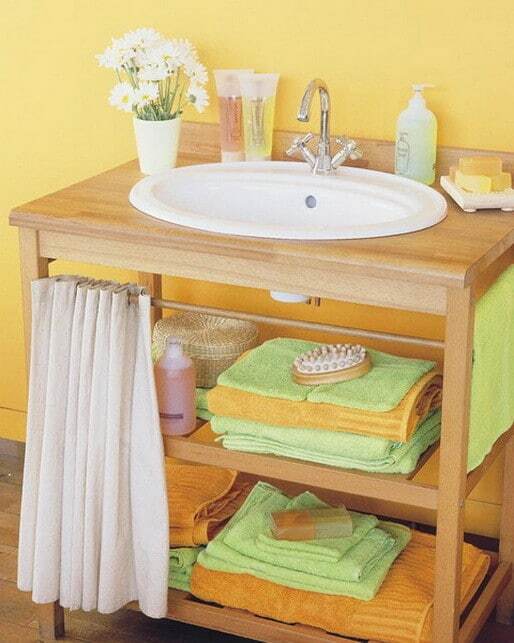 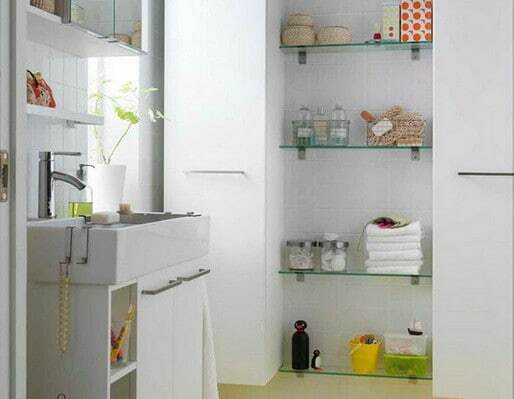 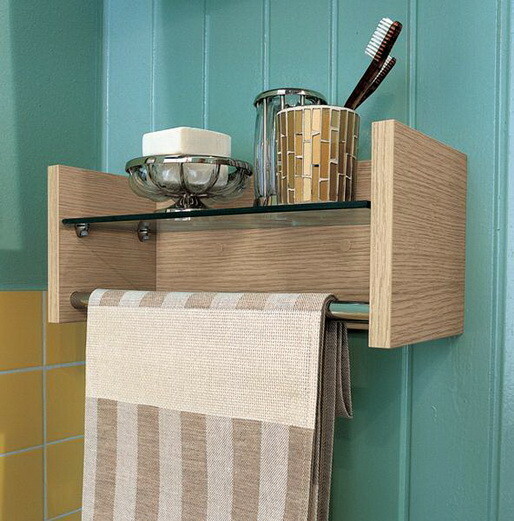 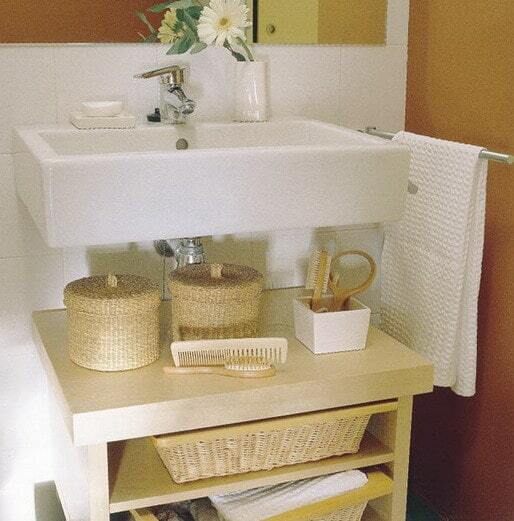 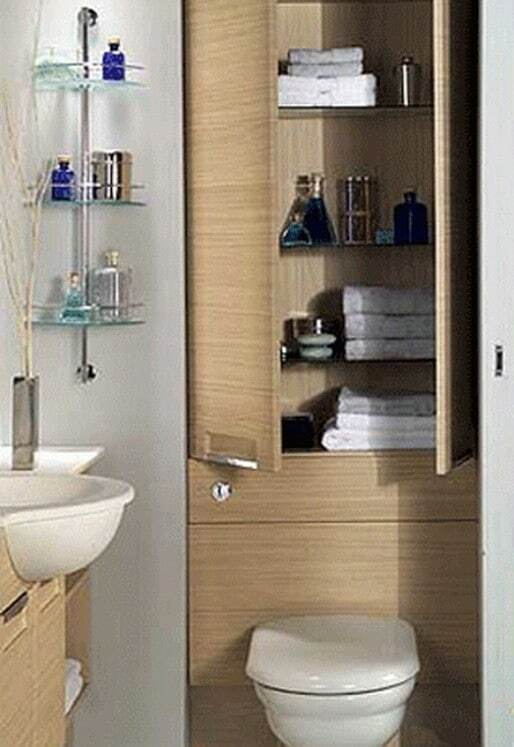 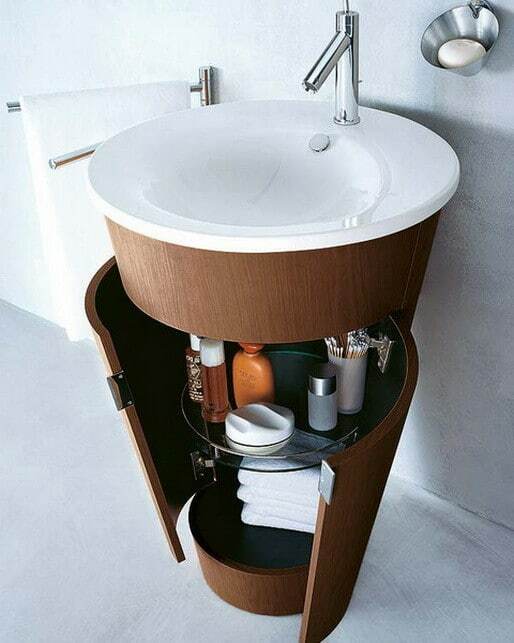 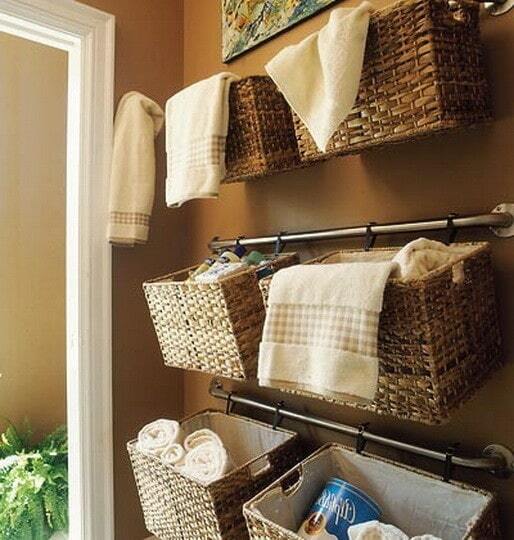 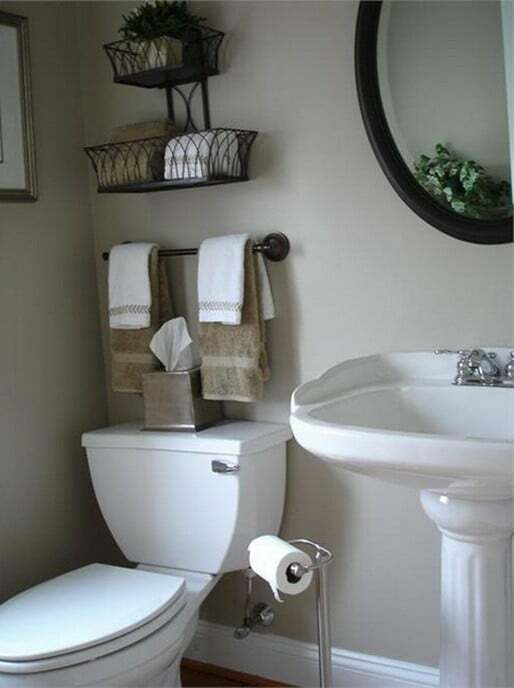 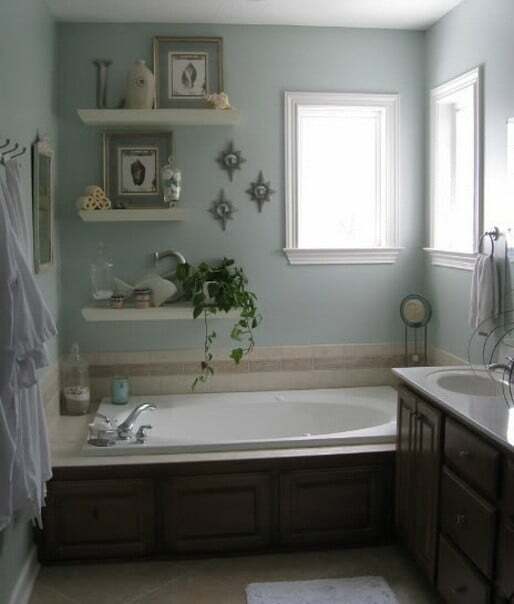 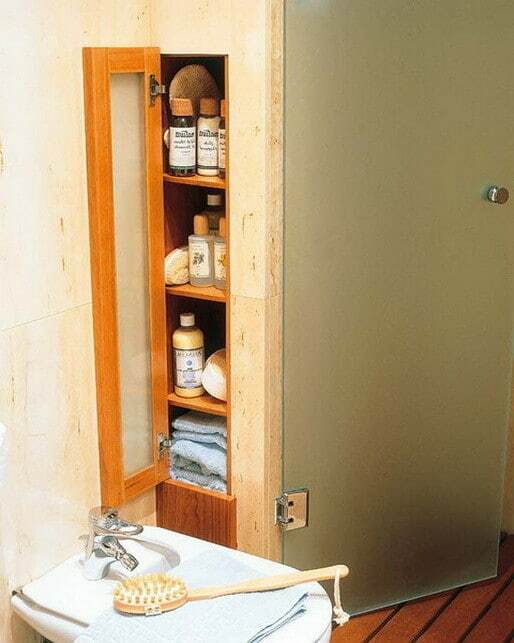 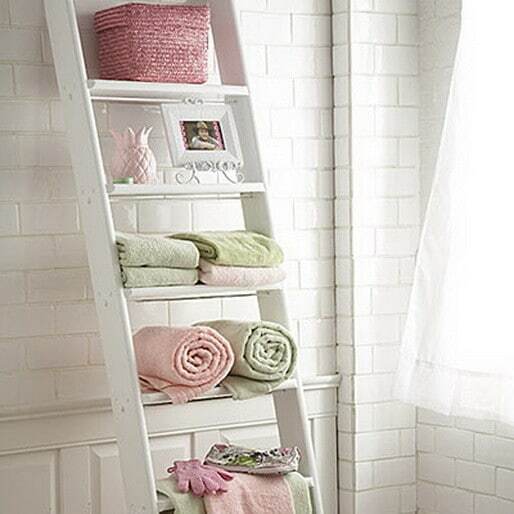 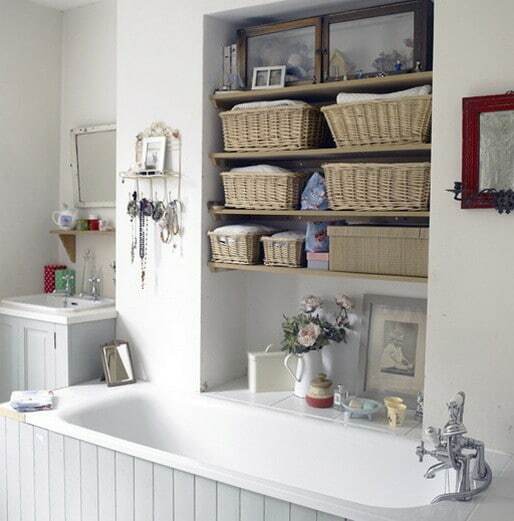 Bathroom Storage and Organization Ideas!